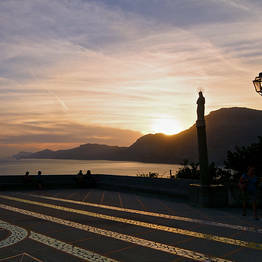 Praiano: in the heart of the Amalfi Coast, with the longest days and the most spectacular sunsets. 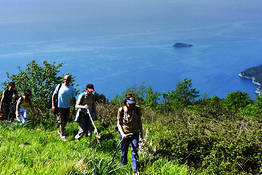 Praiano is located half way between Amalfi and Positano (circa ten kilometers away from each). 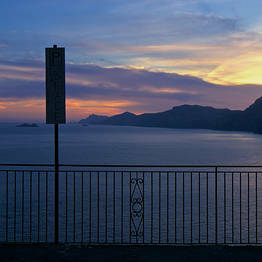 If you are traveling by car, head for Positano and then continue towards Praiano along the SS163. 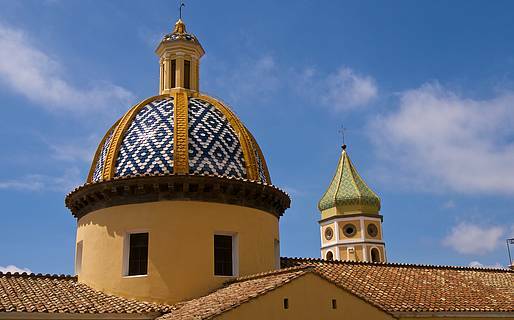 Those traveling by public transport should take the Sita bus running between Sorrento, Positano and Amalfi. 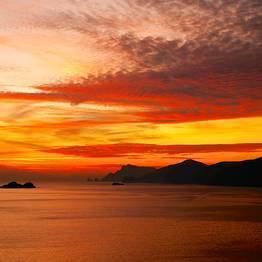 The sunset visible from Praiano, the picturesque little fishing town located between Positano and Conca dei Marini, is considered to be one of the most romantic of all those on the Amalfi Coast. 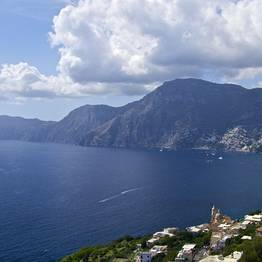 From Praiano, the panorama extends from the bay of Positano and the islets of Li Galli to Punta Campanella and the island of Capri. 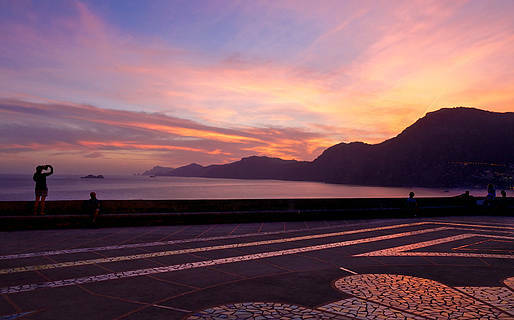 The "sunset over the sea"
Cala della Gavitella catches the sun from dawn until dusk and can be reached from the center of the town via a pathway interspersed with short flights of steps. 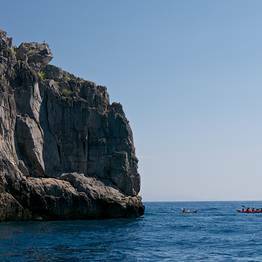 Here, in the little bay facing Positano and the Island of Capri, sun worshippers can dine at the excellent Gavitella restaurant which provides a shuttle service from the harbors of both Positano and Marina di Praia. 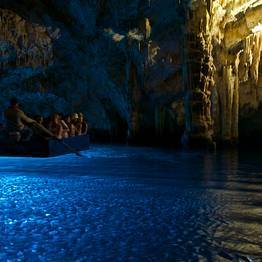 From Cala della Gavitella, holidaymakers can easily reach the Fontana dell'Altare, a natural swimming pool located at the mouth of a cave. 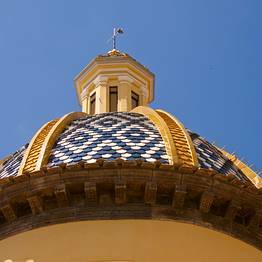 In addition to the maze of little lanes, the narrow flights of steps and the pretty, pastel colored cottages, one of the most characteristic features of Priano is the majolica tiled votive shrines, which can be seen throughout the town. The shrines were constructed by the local families in order to both claim their ownership of a particular property and to obtain its divine protection. 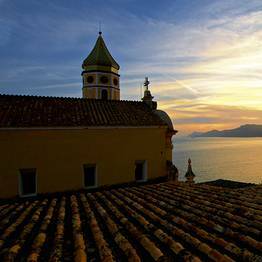 Praiano, the name of which derives from "Pelagianum" (Greek for 'open sea'), has managed to conserve its authenticity, despite having become one of Italy's favorite tourist destinations. In times past, the men of Praiano were famous for their skill as coral fishers and, like the Saracen pirates, used to wear a ring in their left ear. 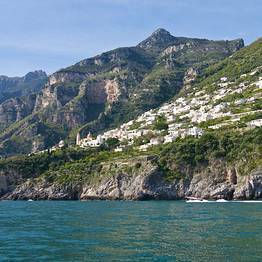 During the height of the Amalfi Republic, the serenity and beauty of Praiano led to the town becoming the preferred summer residence of the Doge. The town has a number of important houses of worship, including the Church of San Luca Evangelista, famous for its splendid majolica floor, the Church of San Gennaro, the Church of Santa Maria a Castro and the Convent of San Domenico, this last stands in the high Campo valley, from where one of the most breathtaking views in the area can be enjoyed. Close to Marina di Praia, on the tip of the promontory, the Torre a Mare can be seen. This medieval tower originally served as military outpost and can be reached via the Sentiero sulla Scogliera pathway. Since 1962, the Africana discotheque, created in a natural cave next to the little beach of La Praia, has been attracting a chic celebrity crowd, happy to dance the night away, within steps of the waves. The pebble beach of Marina di Praia is sheltered on three sides by high cliffs. The ideal eatery for visitors wishing to "eat with their feet in the water", the sea edge Trattoria da Armandino has been delighting holidaymakers with its superb marine cuisine ever since it first opened the 1950's. 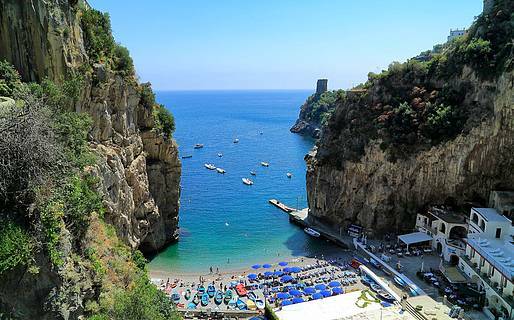 The secluded Spiaggia delle Praie beach can only be accessed from the sea and is the perfect choice for romantics. 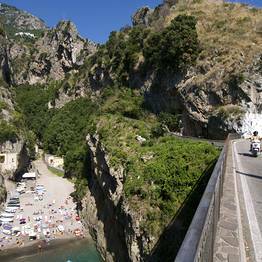 A "town that isn't" and a fiord bang in the middle of Italy's Amalfi Coast. 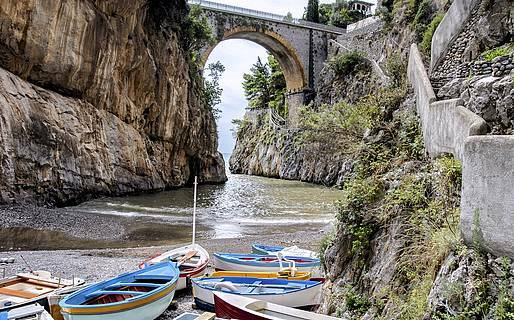 The impressively named Furore ('Fury' in Italian), is often referred to as "the town that isn't". 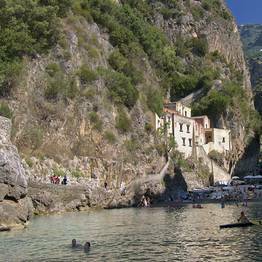 In fact, unlike the great majority of towns and villages in Italy, Furore has neither main square nor town center, consisting instead of a sprinkling of little cottages clinging to the rock face. 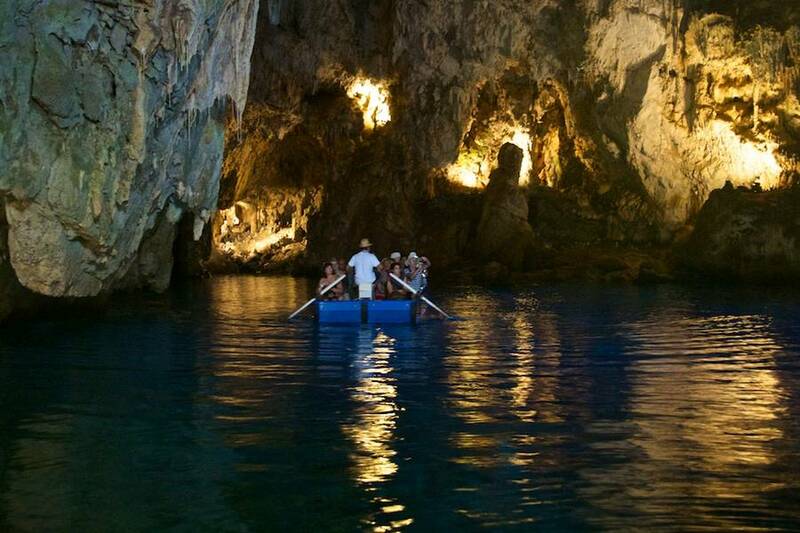 Roberto Rossellini filmed the second episode of his movie "L'Amore" here. During shooting, Rossellini and the leading female protagonist, Anna Magnani, became lovers and spent time in one of the town's "monazzeni", which the actress later purchased. "Villa della Storta" is now open to the general public. 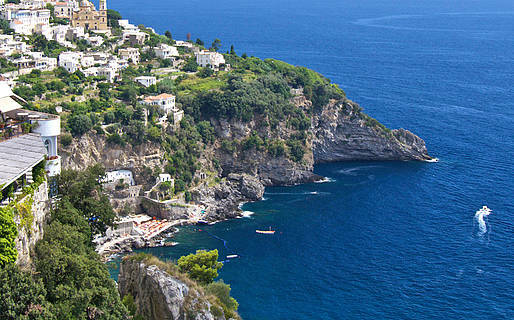 Travelers reach Furore via the coastal road which zigzags its way through the terraced vineyards and olive groves between Amalfi and Positano and which, at a certain stage, plummets down towards the sea by way of a series of stomach churning turns. To access the small beach nestled amidst the rocks, holidaymakers will need to descend a flight of some 200 steps which commence at the height of the state road. A natural spectacle, normally associated with much more northern climes, the fiord was created by the passage of the Schiato torrent, the bed of which is now almost always dry, and represents the heart of "the town which doesn't exist". The area's inhabitants, who were terrified by the noise of the waves which, during violent sea storms, crashed against the walls of the fiord, used to call the place the 'Terra Furoris', 'the Land of Fury'. 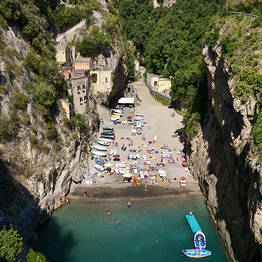 In the past, when the whole area was dominated by Amalfi, Furore was a tiny and impregnable stronghold, protected by its unique geographic position. 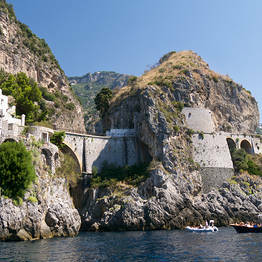 On the beach, at the foot of the sheer cliffs, there are a number of recently restored "monazzeni", old sheds in which the fishermen used to store their tools and which, in the past, provided refuge for characters such as Ruggieri di Agerola, the legendary bandit cited in Boccaccio's Decameron. Close to the "monazzeni" there is an old paper factory, complete with paper press and a mill, which houses Furore's Eco Museum. 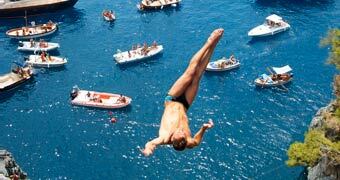 Each year, on the first Sunday of July, the 30 meter high bridge which spans the fiord becomes the stage for the MarMeeting, world high diving championship. A thrilling event which can be watched from the Furore beach. 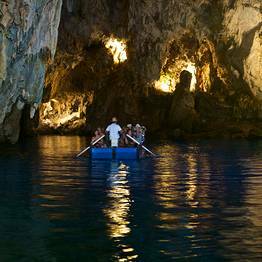 The town which hugs the legendary cliffs of the Grotta dello Smeraldo and where the exquisite Santa Rosa sfogliatella was invented. Locked in a rocky embrace; a natural basin looking out to sea; an enchanting little town, home to just a few hundred inhabitants, who live in cottages, either on the beach or clinging to the cliffs. 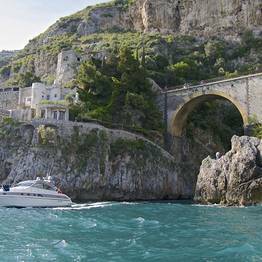 Once upon a time Conca dei Marini, located between Amalfi and the Fiord of Furore, was nothing more than a tiny fishing village, today it is one of the Amalfi Coast's most exclusive tourist destinations. 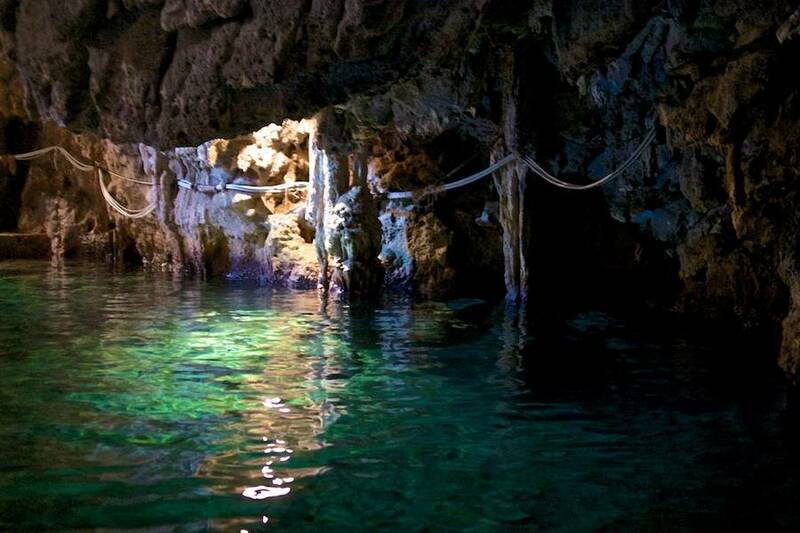 Conca dei Marini's most precious treasure is its Grotta dello Smeraldo, a sea cave, discovered in 1932 by a local fisherman, which can be reached by boat from Amalfi or via the flight of steps or the lift from the main "Amalfitana" highway. 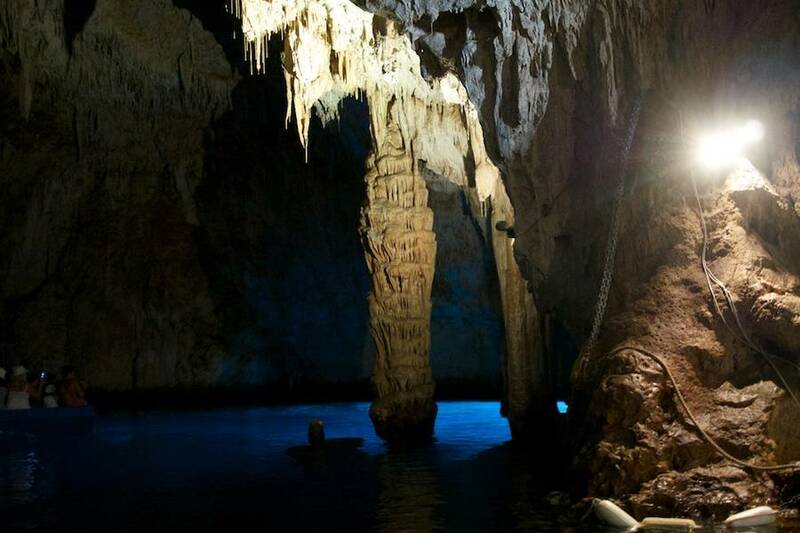 This 30 meter high karst cave is famous for the color of its interior, painted a shimmering emerald green every time the sunlight penetrates through the underwater opening. 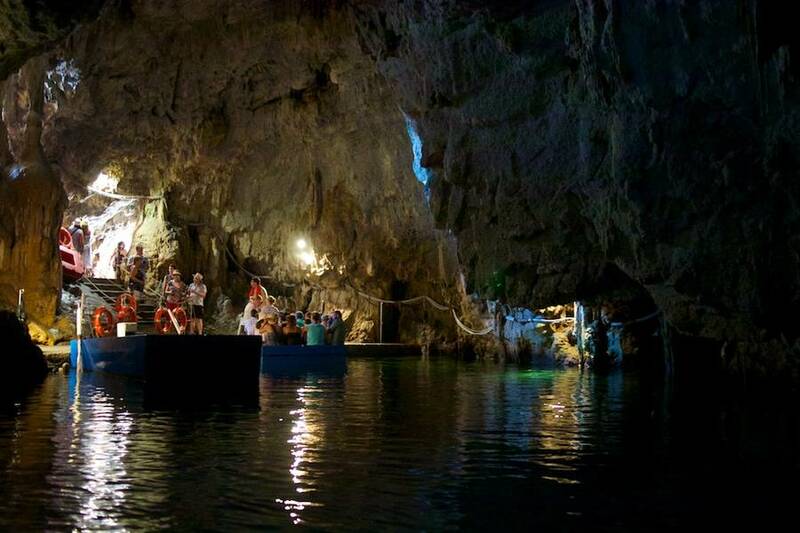 On the floor of the cave, divers have installed a white ceramic nativity scene which, at Christmas time, becomes the focus of an incredibly atmospheric procession. It's hard to read anything about Conca dei Marini which does not mention the town's gastronomic specialties and, in particular, its sfogliatella Santa Rosa, a delicious pastry invented in the 18th century by the Dominican nuns living in the Conservatory of Santa Rosa da Lima. 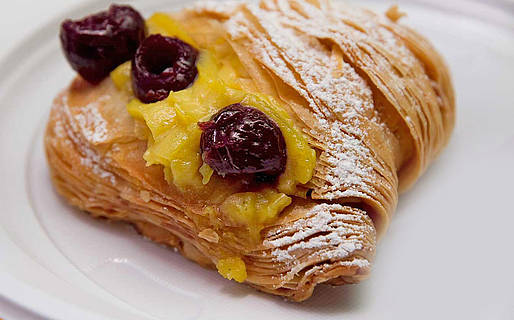 The nuns added sugar, milk, dried fruit, semolina, and glace cherries to the dough left over from bread making, to make this scrumptious pastry which has become one of the symbols of Conca dei Marini, so much so that each August a festival is now dedicated to the delicacy. 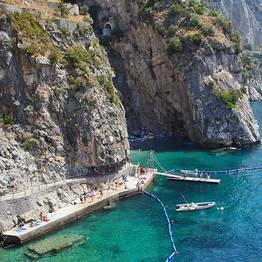 Conca dei Marini is famous for its tunnary, a vast series of nets lowered into the water and used to catch the tuna fish which transit through these waters in the migratory season. Conca dei Marini's '"pomodorini a piennolo'" are also more than worthy of mention. These juicy, cylindrical-shaped cherry tomatoes are tied in bunches the moment they are picked and stored in the dark where they keep for a whole year. The sea air, rich in iodine, gives the tomatoes their distinctive taste and makes them an essential ingredient in the town's legendary "zuppa di pesce". In Praiano: try Armandino or Bar Mare on the small Marina della Praia beach. 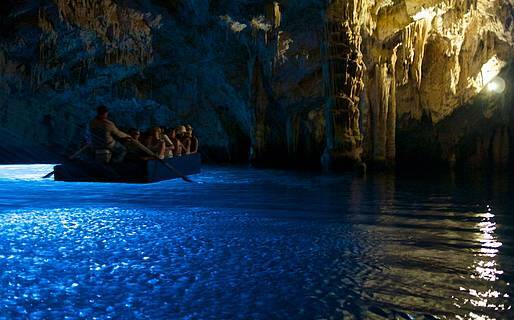 Both are traditional restaurants where you can enjoy lunch on the water's edge. 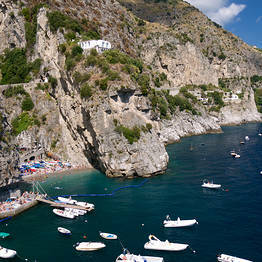 In Furore: visit the Marisa Cuomo winery and then eat at Bacco, known for its excellent local dishes. 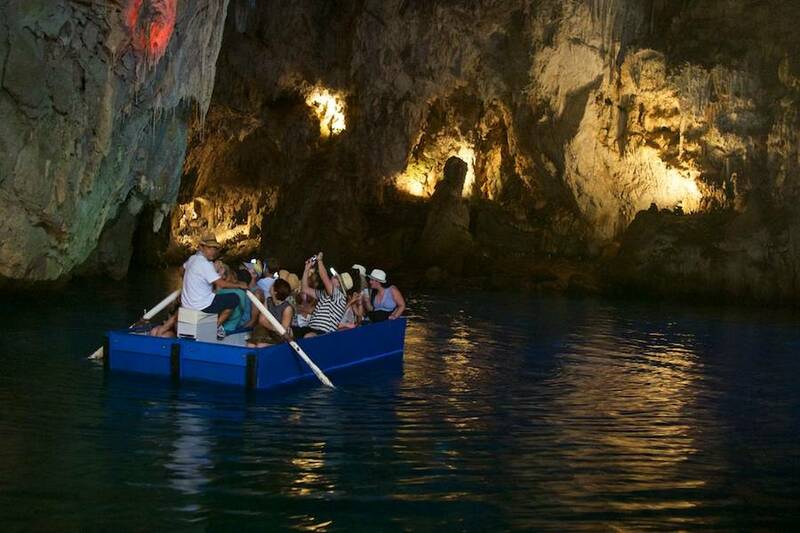 Private tour via Aprea gozzo boat with an expert skipper for a 4 or 7-hour tour around Capri departing from Positano, Praiano or Amalfi.